This article is about the former United States capitol building. For the historic hotel, see Congress Hall (Cape May hotel). For the building in Pyongyang, North Korea, see April 25 House of Culture. Congress Hall, located in Philadelphia at the intersection of Chestnut and 6th Streets, served as the seat of the United States Congress from December 6, 1790 to May 14, 1800. During Congress Hall's duration as the capitol of the United States, the country admitted three new states, Vermont, Kentucky, and Tennessee; ratified the Bill of Rights of the United States Constitution; and oversaw the Presidential inaugurations of both George Washington (his second) and John Adams. Congress Hall was restored in the 20th century to its original appearance in 1796. The building is now managed by the National Park Service within the Independence National Historical Park and is open for public tours. Congress Hall is conjoined with Independence Hall, which is adjacent to the east. Article One, Section Eight, of the United States Constitution granted Congress the authority to create a federal district to serve as the national capital. Following the ratification of the Constitution, the Congress, while meeting in New York, passed the Residence Act on July 9, 1790. The Act established the District of Columbia on the banks of the Potomac River between the states of Maryland and Virginia to serve as the new federal capital. However, Robert Morris, a Senator from Pennsylvania, convinced Congress to return to Philadelphia while the new permanent capital was being built. As a result, the Residence Act also declared Philadelphia to be the temporary capital for a period of ten years. In an attempt to convince Congress to keep the capital in Philadelphia, the city began construction on a massive new Presidential palace on 9th Street as well as an expansion to the County Courthouse into what would become Congress Hall. Upon the return of Congress to Philadelphia on December 6, 1790, the first level of Congress Hall had been transformed into the chamber for the House of Representatives and the second floor had been converted into a chamber for the United States Senate. 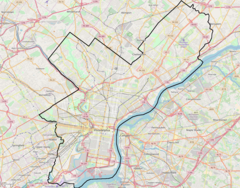 Despite their efforts to construct new buildings for use by the federal government, the city's residents failed to convince Congress to modify the Residence Act and make Philadelphia the permanent capital. Congress Hall served as the capitol building until May 14, 1800, when the offices of the national government moved to Washington, D.C. The House chamber on the first floor is rather simple and featured mahogany desks and leather chairs. The room eventually accommodated 106 representatives from 16 states: the 13 original states as well as the representatives from the new states of Vermont in 1791, Kentucky in 1792, and Tennessee in 1796. The room has been restored to its original appearance in 1796. The second floor, reserved as the chamber for the Senate, was more ornate and adorned with heavy red drapes. By 1796, the room featured 32 secretary desks very similar to the desks that are still used in the current Senate chamber in the United States Capitol; 28 of the desks at Congress Hall are original. Portraits of Louis XVI and Marie Antoinette, presented as gifts from the French monarch following the American Revolution, hang in adjoining committee rooms. A fresco of an American bald eagle is painted on the ceiling, holding the traditional olive branch to symbolize peace. Also on the ceiling, a plaster medallion in the form of a sunburst features 13 stars to represent the original colonies. The design mirrors a similar pattern on the floor, where a carpet made by William Sprague, a local weaver, features the shields of each of the 13 original states. The carpet seen today is a reproduction of the original. During the almost ten years it served as the capitol, Congress Hall witnessed many historic events including the admittance of three new states. The United States Bill of Rights was ratified at Congress Hall in 1791. The second Presidential inauguration of George Washington took place in the House chamber in 1793, as did inauguration of John Adams in 1797. Congress also used the time to establish the First Bank of the United States, the Federal Mint, and the United States Department of the Navy. The Jay Treaty, which secured a temporary peace with Great Britain, was also ratified at Congress Hall in 1796. After the capital moved to Washington, Congress Hall returned to its original function as the Philadelphia County Courthouse and served as the location of both state and federal courts during the early 19th century. Also designed by Samuel Lewis, the Burlington County Courthouse in Mount Holly Township, New Jersey was built in 1796 and modeled after Congress Hall. After its use as a courthouse in the early 19th century, Congress Hall, like other buildings in the area, had fallen into disrepair. In 1870, the Pennsylvania General Assembly ordered the demolition of all the buildings surrounding Independence Hall. However, the law was never enforced and was officially repealed in 1895. Under the leadership of a civic organization known as The Colonial Dames of America, the architect George Champlin Mason, Jr. began restoring Congress Hall in 1895-96, though this work was mostly limited to the Senate chamber. In 1900, the Philadelphia chapter of the American Institute of Architects (AIA) began a study of Congress Hall and initiated a funding drive for the building's complete restoration. After funds were secured, the City of Philadelphia approved the restoration project in 1912 under the supervision of the AIA. Work on Congress Hall was completed the following year when President Woodrow Wilson rededicated the building. Additional work to refurbish the House chamber was completed in 1934. In 1942, over 50 civic and patriotic groups met at the American Philosophical Society and joined to create the Independence Hall Association. The association lobbied for the creation of Independence National Historical Park, which was initially approved by Congress in 1948 and formally established on July 4, 1956. Congress Hall is now maintained by the National Park Service, which operates guided tours of the building throughout the year on a first-come, first-served basis. On December 2, 2008, the building hosted President-elect Barack Obama's meeting with the National Governors Association where they discussed the economic crisis then facing the country. ^ Independence Hall (at "Independence Hall's History"). World Heritage Sites official webpage. World Heritage Committee. Retrieved March 16, 2010. ^ a b c d e f "Congress Hall". Independence Hall Association. Retrieved September 7, 2008. ^ a b "The Nine Capitals of the United States". United States Senate. Retrieved September 7, 2008. ^ a b c "The President's House in Philadelphia". Independence Hall Association. July 4, 1995. Archived from the original on July 15, 2007. Retrieved August 27, 2008. ^ a b "Main Street Mount Holly". Mount Holly Main Street Association. Archived from the original on March 7, 2008. Retrieved October 7, 2008. ^ "Residence Act: Primary Documents in American History". Library of Congress. September 21, 2007. Retrieved September 23, 2008. ^ a b "Independence Hall, Congress Hall, Old City Hall". Independence Hall Association. Retrieved September 7, 2008. ^ a b "Congress Hall". National Park Service. January 20, 2008. Retrieved September 7, 2008. 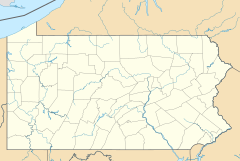 ^ "Mount Holly Township Historic Information". Burlington County Government. Archived from the original on June 24, 2006. ^ a b c "Independence National Historical Park". National Park Service. December 2, 2002. Retrieved October 7, 2008. ^ Fitzgerald, Thomas (December 2, 2008). "Obama says he'll give govs role in bailout". Philadelphia Inquirer. Archived from the original on December 5, 2008. Retrieved December 2, 2008. Weigley, Russell Frank; Nicholas B. Wainwright; Edwin Wolf (1982). Philadelphia: A 300 Year History. New York: W. W. Norton & Company. ISBN 978-0-393-01610-9.